It's Fallout, but not as you know it. Come November, the United States of America will once more be subjected to a fictional nuclear cleansing of the ages, in turn setting the stage for further escapades in Fallout's post-apocalyptic playground. But this isn't the dystopian RPG series you've come to know and love. 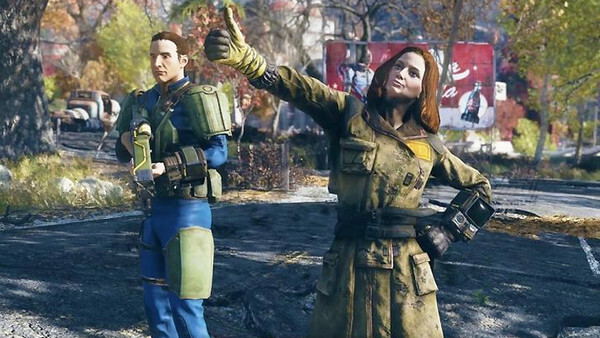 Multiplayer is the headlining game-changer, but that one, seemingly simple change has had a knock-on effect on Bethesda's design decisions across the board. Like Destiny and The Division's worlds before it, post-nuclear West Virginia is a sprawling, always-online space filled up to the eyeballs with features. Content that, for the first time, needs to accommodate for not one, but groups of human-controlled former Vault dwellers. As part of the shake-up, sacrifices have been made - the total removal of AI companions being one - but in place of those, wholly new, more modern components are present. Diverse end-game content in the form of random events, competitive-focused skirmishes for control of lucrative real estate and meaningful progression systems: never before, has Bethesda attempted a formula change of this magnitude and that's exciting. Fallout 76 is bursting with potential, no doubt, but it still has some gargantuan hurdles to overcome if it truly hopes to knock its first multiplayer venture out of the park next month.